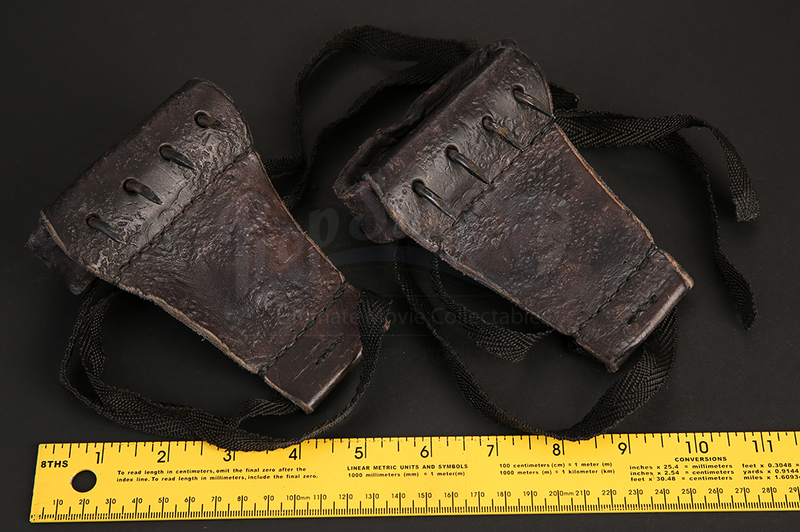 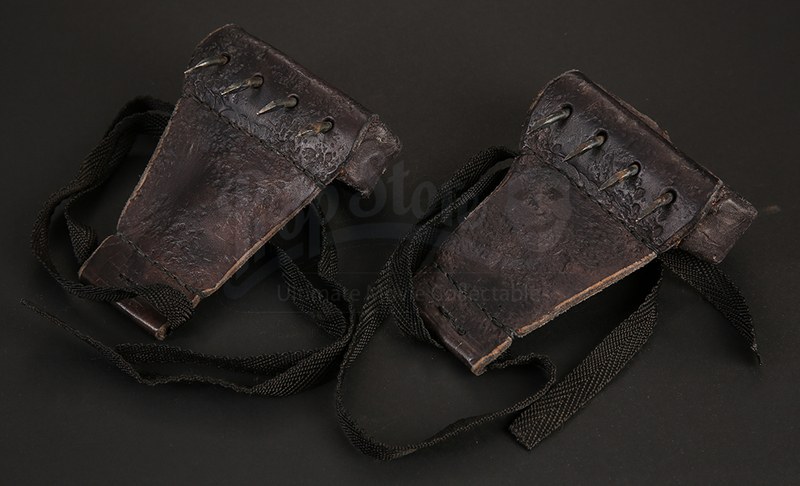 A pair of spiked gloves from the 2003 Tom Cruise film The Last Samurai. 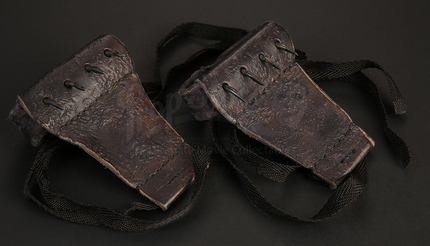 The gloves would have been worn by Ninjas during their surprise attack on Katsumoto’s village. 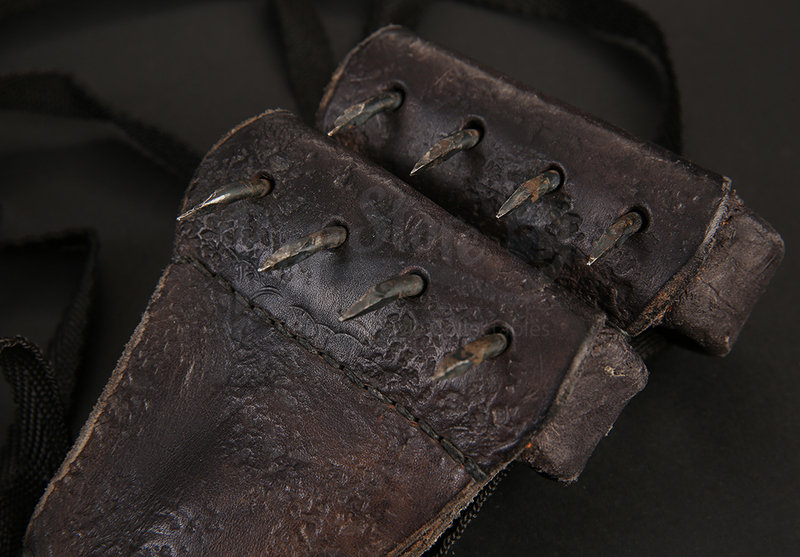 The gloves are made of black leather with a stiff leather opening to fit around four fingers featuring an interior set of four metal spikes on the palm side as well as a black wrist ties to securely fasten the piece to the hand. 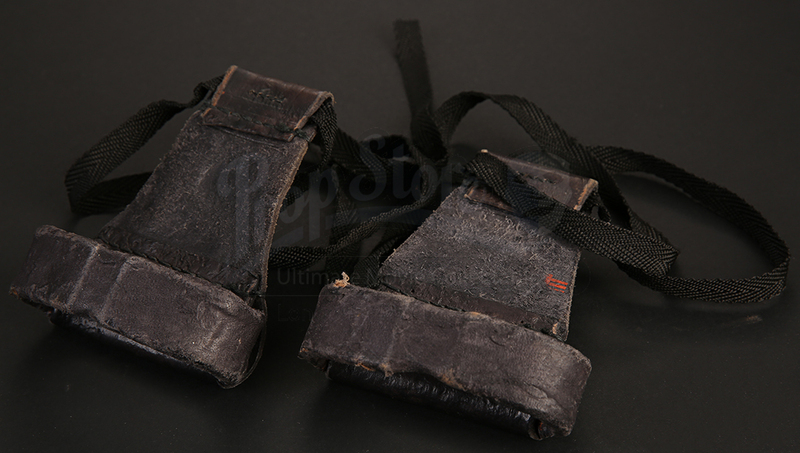 Each glove measures approximately 5” x 4” (13cm x 10cm) and is in good production worn condition.